I had so much fun at work today! Gourmet Gift Baskets sent me their Snack Classic Gift Basket to Review! I decided to share the wealth and get the opinions of those I work with. The thing is, I work in a self-contained classroom at a high school with 7 at-risk boys and their teacher, a man. Believe me, they will tell me straight up what is what if I ask them, and they won't try to smooth it over or make it look pretty if it isn't. We have a class called 'Social Skills', which I am in charge of. 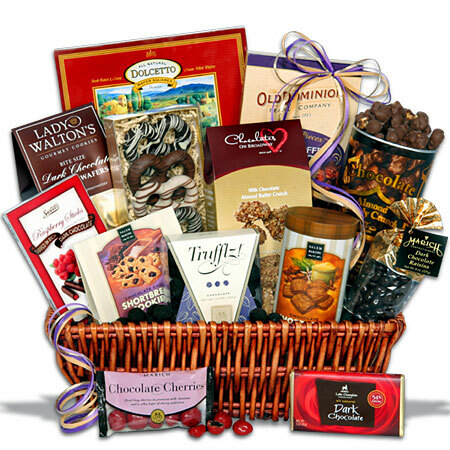 I figure that sending gift baskets to people is a good Social Skill and one that is very much appreciated in a variety of situations. First of all, I asked them when might be a good time to give someone a gift basket. I got some great answers. One said, "When your Grandma has a birthday, you could send her a gift basket." Some other answers were anniversaries, weddings, congratulating someone and funerals. I next had them sample each one of the snacks in the basket and rate them. I had a very favorable rating with all of them. I had most of the snacks receive Excellent, Good, or OK ratings. But one thing didn't rate well at all. That item was the Dipping Pretzels with Dip. The dip was a sweet (raspberry) and sour (honey mustard) dip that I think was a bit too sophisticated for their palates--but I really liked it! My absolute favorite snacks were the Almond Pecan Crunch and the Buttered Pecan Crunch! They are -or were- sublime for snacking (they're all gone now)! 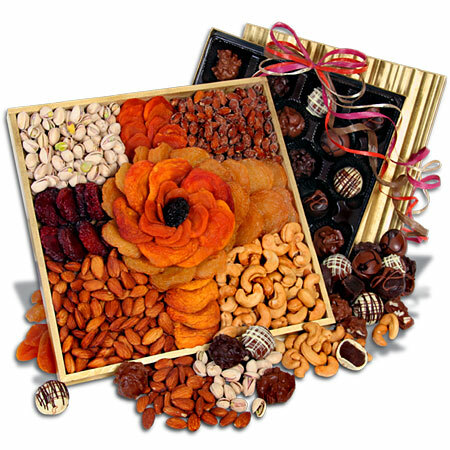 Other baskets that have definitely caught my eye are the Something Naughty and Something Nice Gift Basket, full of nuts and fruits along with delectable chocolate bon bons. I have been wanting the Sweet Decadence Chocolate Premium Gift Basket for awhile now. It's a true chocolate lover's delight, I'm sure! When you want to give something special to someone for any occasion, I definitely recommend Gourmet Gift Baskets. They will be appreciated each and every time, I promise! I am a retired teacher. I had a self contained classroom of learning disabled and behavior disordered youths in high school. The school I worked at never saw the need to initiate a social skills class. That meant that I had to mix that in with the academics I was required to teach them. They never did understand that most of these students problems stemmed from their inability to interact with others in a socially appropriate way. I thought that was a really nice idea to take the basket to class with you. It sounds like your lesson was a hit. What a great idea to take the basket to your classroom. I'm sure it was a lesson not soon to be forgotton! 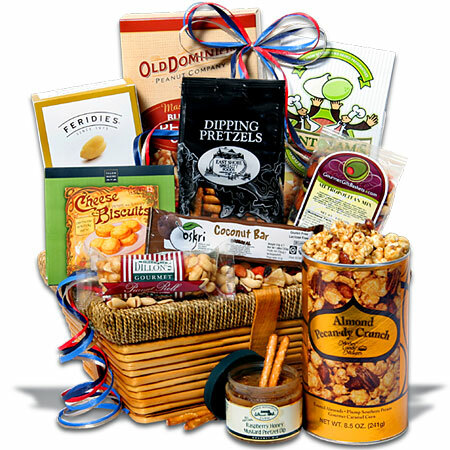 I love all the different baskets that Gourmet Gift Baskets offer. There is a basket and theme to please everyone. Such a great review! I have ordrreed from them before and all I can say is it is a 1st class company and their baskets are so beautiful! What a great review and how nice of you to let the boys sample. I thought it very clever that you let them rate the snacks. I would of never thought of that. I checked out the Naughty and Nice Gift Basket... I would love to receive that as a gift. MMMM..
i think that teaching your kids to have a rating system is a great social skill to have...and useful in many situations which require more than a simple yes or no answer.